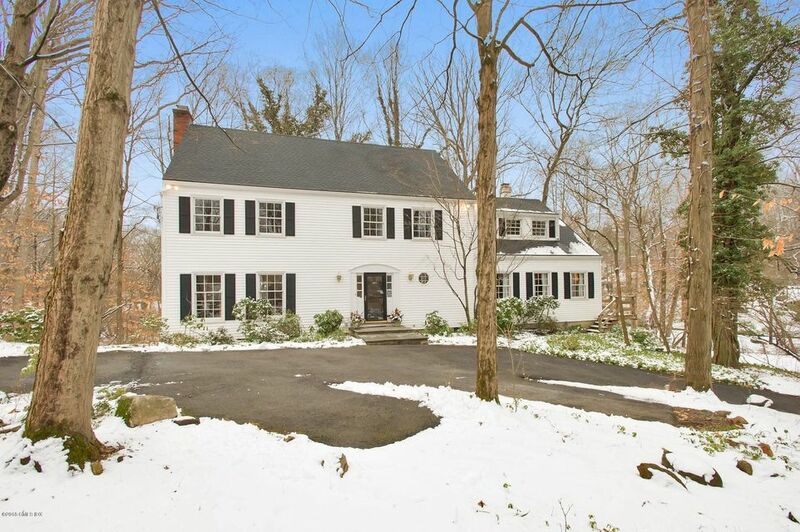 Gracious and bright, this exquisite 5 bedroom colonial is set on 2 private acres. With wonderful flow and generous sized rooms, this home has several glass doors that open onto an oversized deck that is perfect for entertaining. A glass lined 4 season sunroom is a welcome addition to the main level. Master bedroom suite and 4 additional bedrooms are on the 2nd floor. The walk out lower level is finished with a family room, game room, and a working fireplace. This additional space on the lower level is around 1000 sq ft that is not included in the sq ft. Source: Greenwich Multiple Listing Service, Inc. Last date updated: 04/21/2019.